I have written this in the past —in The Functional Art— but I will write it again: The Washington Post's infographics and multimedia work deserves more attention than it may be getting nowadays. 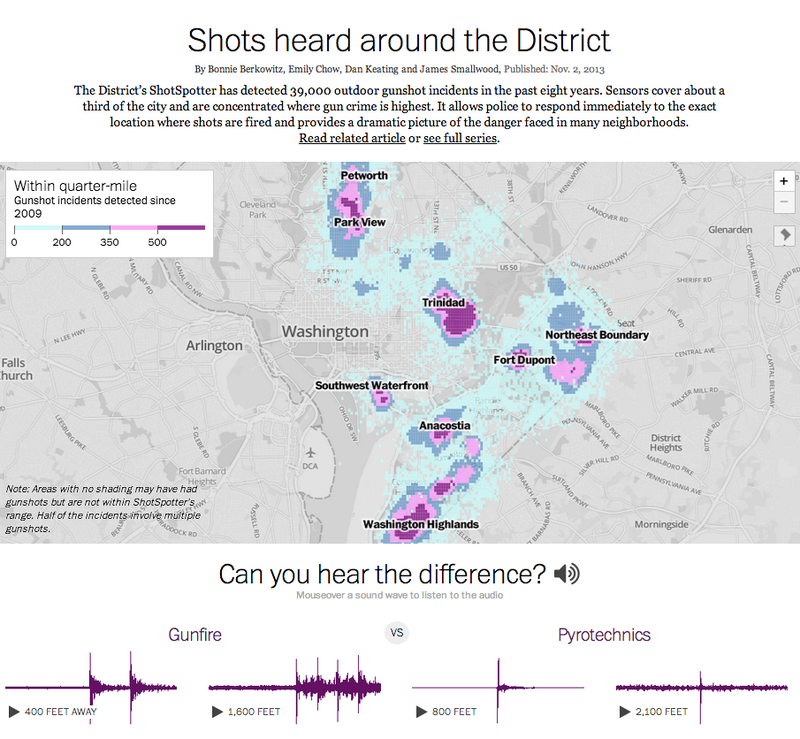 Take a look at the project they have just published, called Shots heard around the District. 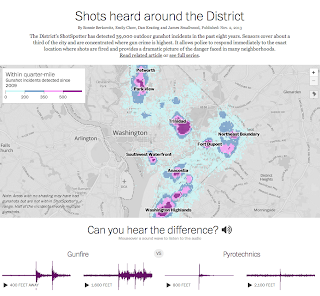 Notice the combination of maps, sound clips, video, and traditional explanation graphics. Read also the story this multimedia/interactive piece was published with. Good stuff. You won't find fancy, ultra-complex, gratuitously 'creative' visualizations here; just the information, delivered on a clean, elegant, and traditional-looking layout. The older I get, the more I love this kind of honest and inspiring work in which the priority is the reporting, not the wrapping paper.